Cycling is a very popular sport in Andalucia. Cycling is a popular sport in Andalucia and it is not uncommon to see groups of cyclists out enjoying a weekend morning together as they tour the countryside. These are often serious cyclists in full gear. Some are members of local cycling teams and may, therefore, be training for upcoming competitions. If you wish to join the fun and get out on a bike to enjoy the countryside in southern Spain, there are a few things you need to keep in mind when planning your trip. There’s a good reason why you see local cyclists out during the early morning hours. During the warmer months of the year, the heat is definitely a serious factor to consider when practicing any sport in Andalucia, and cycling is no exception. Avoid going out during the hot hours of the day and be sure to have plenty of water with you even during early morning rides in the summer. Andalucia is a cyclist's paradise. Do take care when choosing your route. Keep in mind that bikes are not allowed on high speed motorways and that some backcountry roads have heavy traffic, making them less than pleasant routes. Try to get help from locals or specialised guidebooks in choosing the best and safest roads for your bike trip. If possible, stick to those roads that are well known for biking, where drivers are more likely to expect to share the road with cyclists. In 2006 more than 2,000 bikers were injured on Spanish roads – that averages out to 4 or 5 per day. 75 were killed. 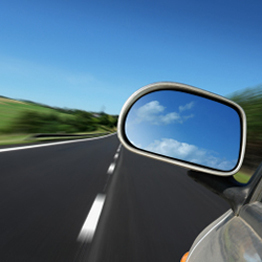 Following the rules of the road and taking responsibility for your safety is, therefore, of utmost importance. La Vuelta a Andalucia, or the Ruta del Sol, is the tour of Andalucia which takes place every mid February. Clasica de Almeria, is a on day race late February or early March. La Vuelta, in late August or early September is the mayor Tour of Spain which usually includes some stages in Andaluciua. 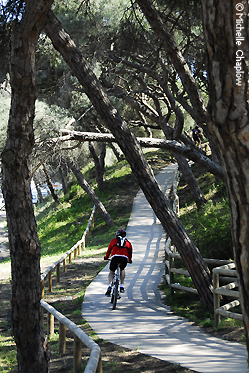 Another excellent option for cyclists are the Vias Verdes. These are old railways lines which have been turned into Greenways, with old stations and other buildings now serving as guest houses, restaurants and information centres. Only cyclists and pedestrians are allowed to use them, making them an excellent choice for families who enjoy cycling. Bike hire is available, along with trailers for those too small to negotiate their own wheels. There are 12 Vias Verdes in Andalucia, with routes going along coasts, over hills and through olive groves. A great way to appreciate the countryside and its inhabitants safely with friends and family, while getting fit. Read more about Andalucia’s Via Verdes here. There are certain laws and regulations specific to Spain where cycling is concerned. Cyclists must ride on the right hand side of the road, and never go against the flow of traffic. Unlike in other countries, cyclists may not use bus lanes, as these are for public transport only. Rules regarding helmets are particularly specific: as of 2014, cyclists under the age of 16 must wear a helmet at all times. Those over the age of 16 must wear a helmet only in non-urban areas (i.e. on the larger roads connecting towns). However, this rule does not apply in extreme heat, when cycling up very steep hills, or if a rider is a professional cyclist. These regulations are worth observing, because although not always enforced, a fine of up to 90€ is possible for not complying.